The second teaser for The Force Awakens starts out with Luke recounting how the Force is strong in his family. The first time he utters these words in the Saga however is just after he discloses to Leia why he needs to face Darth Vader. After her realization she is his sister she tries to hold him back, yet she also realizes he has to go. Next time we see Luke he is brought before Vader and he surrenders himself to his father. 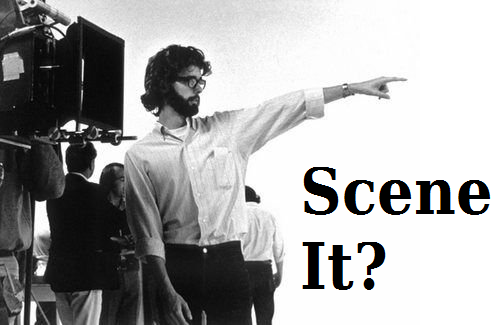 The scene starts with a pan down from the Death Star looming in the sky over Endor to Darth Vader entering. The shot of the Death Star is a stark reminder that the Empire is assembling its deadliest force here, but also a reminder that the Emperor is above this scene. He is above it yet, highly relevant, not in control. The spiritual distance to the Emperor, who is awaiting the outcome on an incomplete and unfinished battle station, suggests a kind of freedom for Vader. It sets the stage for us to see something of Vader that he will otherwise not disclose. Darth Vader meets Luke on a bridge connecting the landing platform where Vader’s shuttle awaits to the exit of the Imperial AT-AT Walker that has brought Luke. This is wonderful visual story-telling. We know that AT-AT’s are machines that Luke can defeat, we have seen him do it in Empire Strikes Back. Not only Vader is no longer strictly confined by the Emperor’s oversight, also Luke has been brought in in a ‘cage’ that is not really strong enough to tie him down. The Imperial Officer that hands him over to Darth Vader also hands Luke’s lightsaber to him. Yet the officer does not show any sign of recognition of what this lightsaber is, except that he identifies it as a weapon. He also does not see Luke as a Jedi, but as a mere ‘Rebel’. 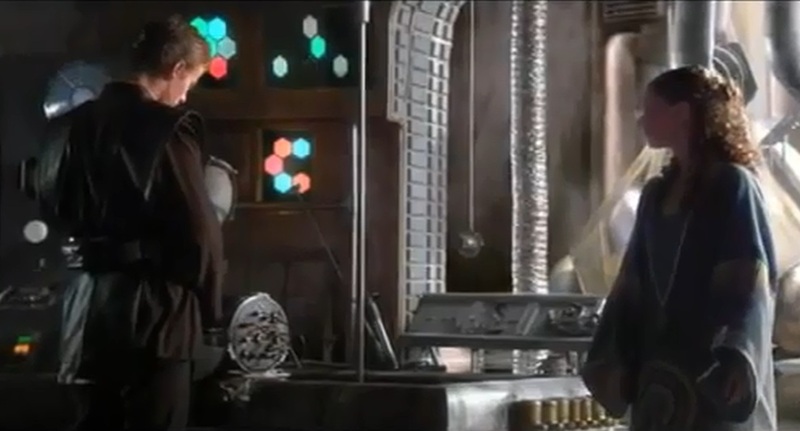 It serves to illustrate further how in this scene there are only two individuals who are aware of the full gravity of the situation: Luke & Anakin. Vader orders the Imperial officer and his storm troopers away, he wishes to be left alone with Luke. Luke’s hands are tied, but not on his back, which would have been a sign of submission, but in front of him as a mere sign of surrender. Luke and Anakin walk the bridge together in a visual representation of what goes on in the conversation they are having. 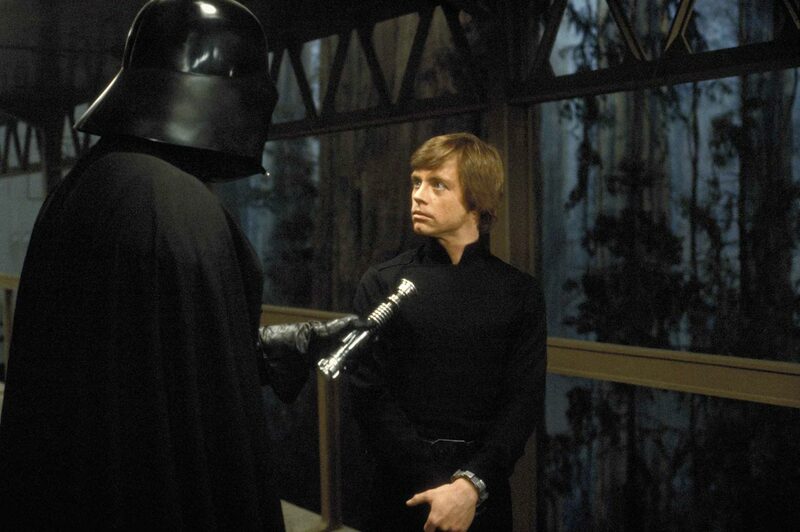 Vader begins by telling Luke what awaits him, a confrontation with the Emperor. Luke responds that he is already aware of this. So not only are father and son physically together in the same spot, they are also mentally on the same page as to where they are and what they are doing. 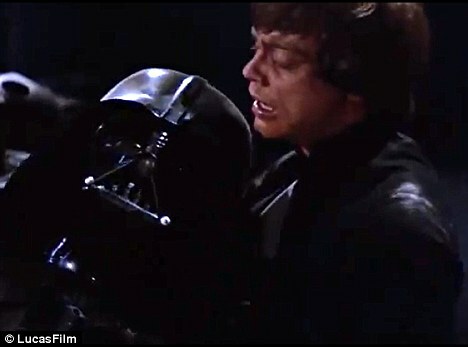 Luke adds a crucial element to this by addressing Vader as ‘father’ and Vader jumps on it by concluding that Luke has now accepted the truth of his parentage. These is ‘bridging dialogue’ in a direct and in a metaphorical sense. Luke and Vader are connecting by settling where this walk leads them and where their common origin is. Luke finally settles this bridge-building by referring to Anakin by his real name. Just like in The Two Towers of The Lord of The Rings where Gollum is heavily affected by hearing his original name, Sméagol, again for the first time in a long time, so is Darth Vader. He attempts a denial of his name, but Luke is adamant: “It is the name of your true self, you have only forgotten … “. At this pivotal moment in the scene their walk across the bridge has stopped, just few meters short of the entrance to the elevator that will bring Luke to the shuttle and hence the Emperor. It is in this ‘limbo’ between common past and common destiny that the two are now suspended, in this ‘liminal space’ where they can put down their ‘real world roles’ and slip into new roles. Formal as this may sound, it is Luke’s way of suspending his looming destiny. He doesn’t say that Vader will not bring him to the Emperor, he just says that Vader will not do it now. Luke addresses Anakin Skywalker, not Darth Vader. And Luke addresses him with confidence, not with the attitude of a captured Rebel prisoner. We have entered a new sphere now. Anakin does not reply at first, he merely seems to study Luke’s lightsaber. He fires it up as Luke has turned his back on Vader, but notice that this is not the rejecting sense of “turning your back”. As Luke’s facial expressions indicate he is aware that under normal circumstances Vader would be a threat … but not now, not here on this bridge … not Anakin. Now we come to a moment where, in my view, the Prequel Trilogy greatly enriches this scene. Anakin assesses Luke’s skills by studying his lightsaber and comments his son’s skills are now complete. We know from the Prequels what a tech-savy kid Anakin was and how ‘fixing things’ was the way Anakin would take his mind off emotionally difficult experiences. After killing the Sand People and losing his mother, he starts to ‘fix things’ in the Lars Homestead. Even in The Clone Wars in one of the Season 6 episods he comforts and quiets his mind and heart, which are in turmoil over Padme, by ‘fixing something’ in his room in the Jedi Temple while talking to Obi Wan. We see this Anakin Skywalker come through now much more clearly when, in this tense moment of suspended roles, he comments on his sons technical skills. The bridge is completed here, because in acknowledging his sons skills he is acknowledging the extent to which he and his son are the same. Something wordless has happened here between Anakin and Luke. 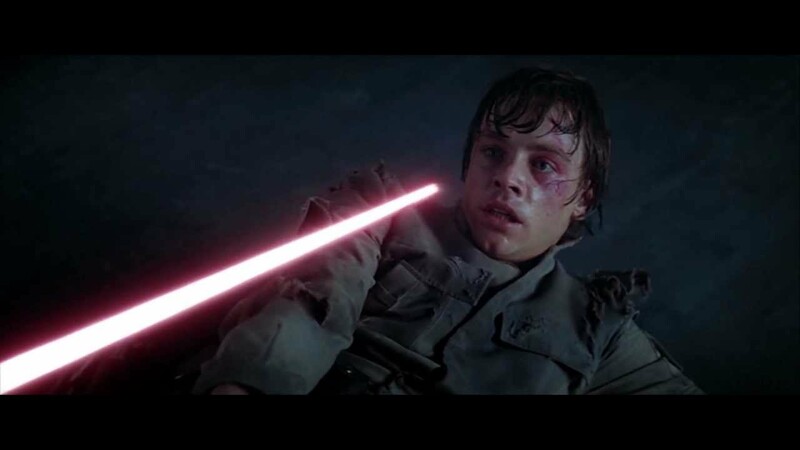 As Anakin extinguishes Luke’s lightsaber he too turns his back towards the other. Father and Son are now separate but joined. Anakin struggles. Vader acknowledges Luke’s power, the Emperor’s foresight, but Anakin recalls Obi Wan when Luke presses “Come with me!” This is not the vengeful Darth Vader who mocks Obi Wan’s weakness in A New Hope. It is also not the superior Darth Vader of Empire Strikes Back who instrumentalizes his parentage to throw Luke off balance. This is Anakin Skywalker unhinged from his destiny but not strong enough to break free from the Dark Side and from his Emperor. Clearly Darth Vader is re-entering the scene and Anakin Skywalker is giving way. 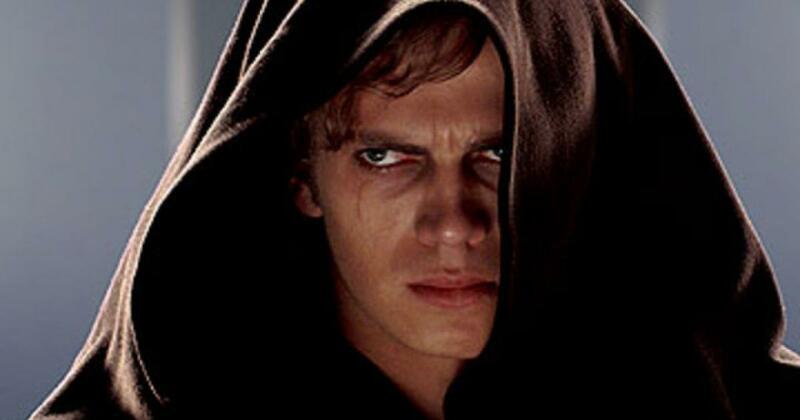 Rapidly the connection between Luke and Anakin dissolves, even to the point where Luke now contemplates his father could be ‘truly dead’. But just before Darth Vader returns and sends Luke on to meet his destiny, Anakin acknowledges his son one more time. Anakin says it is to late for him now … he will say that one more time before his physical life ends, hours later upon a disintegrating Death Star. Yet this scene ends with Luke leaving the bridge for the fateful meeting with the Emperor that Darth Vader has sent him to. But Anakin remains on the bridge and does not join him yet. Something irreversible has happened on this bridge. Always in motion the future is and destinies that may seem unavoidable can become untied and unwound allowing for new possible destinies to become available. Though still hidden behind the black mask, Anakin has re-emerged from the shadows of his darkest thoughts. And before stepping out of the liminality of the bridge Anakin Skywalker contemplates the alternative futures one more time … alone.